Mahindra Rodeo 125 RZ, a powerful scooterette has hit the Indian road in style. Some of its unique aesthetic and convenience features are very attractive. Read the review to explore the features, technical specifications & price. 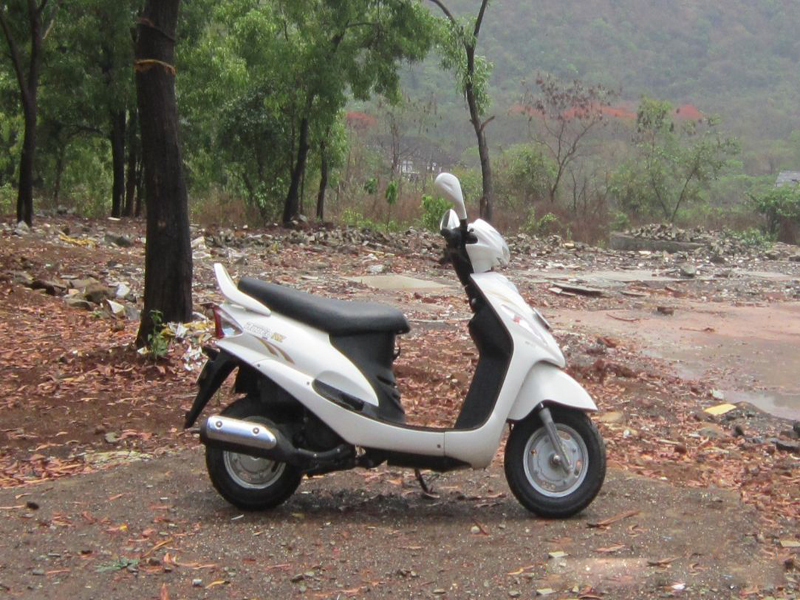 The Mahindra Rodeo 125 RZ, a perfectly made city commuter was launched recently in India. The designers have brought some new design features and they've built this scooterette to give good fuel economy and a comfortable ride. The automatic geared vehicle has a slightly larger capacity engine but yet has managed to keep the weight low to make it convenient for usage in roads where vehicles are overflowing. 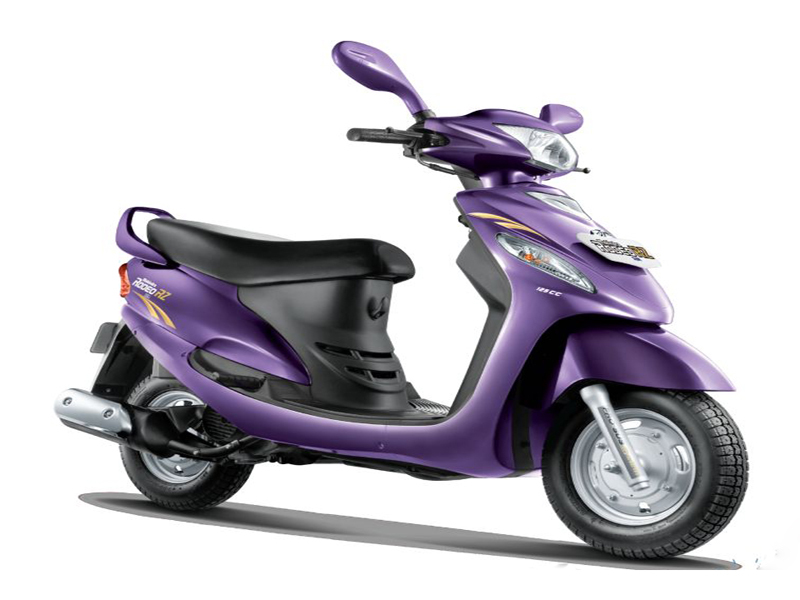 Fit with alloy wheels and having a large wheelbase defines the riding characteristics of the scooterette. There are other unique features which uplift the looks of this scooterette. The 125 cc engine of Rodeo RZ boasts of delivering high fuel efficiency with the use of a Dual Curve Ignition System. The engine uses air as a medium for cooling and has enough in its heart to throw out a torque of 9 Nm at 5500 rpm. The maximum power output from the engine is 8 bhp at 7000 rpm. The engine transfers its energy through automatic gear mechanism. The fuel efficiency claimed from this engine is higher by 10 kms per litre as compared to its counterparts which have a lesser cubic capacity engine. The engine with this volume also has enough power for riding in steep roads. 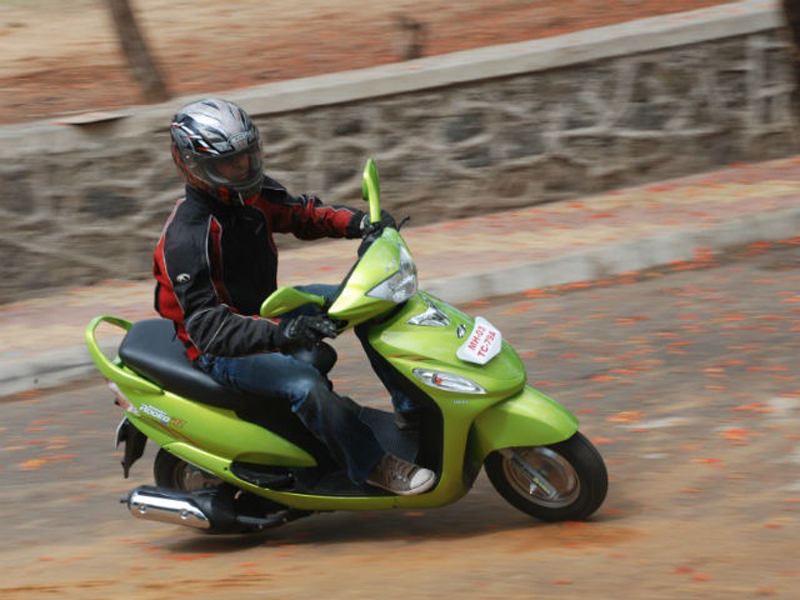 The scooterette is constructed with some new features that increase the convenience in the vehicle. The fuel tank is positioned in the front following the floor board. The speedometer is digital with rpm shown in the form of a circular band. This instrument unit includes information on trip, total distance travelled, a clock and a fuel indicator. The backlight of this panel has seven colour options and it is changeable if desired. The mobile charger plug in is an additional feature in this scooterette. With the fuel tank positioned at front there is a little more room under the seat of this vehicle. The turn indicators are designed and fit on the body to add to the aesthetics of the vehicle. The vehicle is light in weight and has a big engine that gives good power to the wheels. The alloy wheels are mounted on telescopic and hydraulic suspension which gives better comfort to the ride. A high ground clearance makes the potholes invisible on the body of the vehicle. A wheel base of 1245 mm gives enough stability to the wheels especially when it is powered by a high capacity engine. The ride on this vehicle gives soft feel and the design is such that long lasting rides in cities would not be tiresome. Although the body weighs less there is enough road grip on this vehicle. The highly attractive feature of this vehicle is the mileage and the figure claimed by the company is 60 km/lit.